As promised, this will be my first post for this blog. I decided to do an Anime Recommendations for my fellow anime lovers out there! This list will only tackle about shounen ones. I’ll just have a separate post for shoujo anime recommendations. This will be in random order. I will ONLY RECOMMEND the anime that I watched and enjoyed. Separate reviews for each anime will be posted later. Note: Please do not remove sources. Click on the pictures to direct you to the sources. Synopsis: Life isn’t easy in feudal Japan… especially since the aliens landed and conquered everything! Oh sure, the new health care is great, but the public ban on the use of swords has left a lot of defeated samurai with a difficult decision to make concerning their future career paths! This is especially true if, as in the case of Gintoki Sakata, they’re not particularly inclined towards holding a day job, which is why Gintoki’s opted for the freelance route, taking any job that’s offered to him as long as the financial remuneration sounds right. Unfortunately, in a brave new world filled with stray bug-eyed monsters, upwardly mobile Yakuza and overly ambitious E.T. entrepreneurs, those jobs usually don’t pay as well as they should for the pain, suffering and indignities endured! Synopsis: Hanamichi Sakuragi, an entering Shohoku high school freshman, holds a record for being rejected by 50 girls during middle school. His nearly 2 meters height and bright red hair causes most students to write him off as a delinquent. One day, a girl named Haruko Akagi approaches Hanamichi without any fear. When she asks Hanamichi “do you like basketball?” Hanamichi falls head over heels for the girl of his dreams. 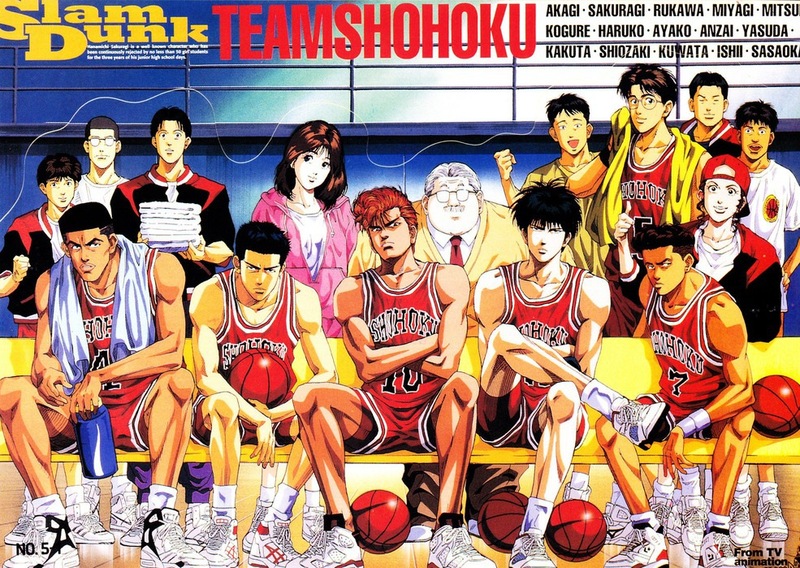 Without missing a beat, Hanamichi tells her he loves basketball, and the two head to the gymnasium where Hanamichi learns about the slam dunk. He also learns of Rukawa, one of the country’s top basketball prospects, also a freshman at Shohoku. Synopsis: Urameshi Yusuke, 14 years of age, is about as troublesome and violent as teenagers come. He is constantly ditching school, causing trouble, and getting into numerous fights everyday. One day however, he does the unexpected, sacrificing himself to save a young child. Such an action, was never ever expected, especially coming from someone as troublesome as Urameshi Yusuke. The afterlife is not prepared for Yusuke, as they never thought he would make such a sacrifice. Nowhere to go, and dead, Yusuke becomes a ghost and must earn his way back into existence. Yusuke is “employed” by Koenma, who is in charge while his father and ruler of the afterlife, King Enma, is away. Under Koenma’s command, Yusuke helps to stop menacing demons that threaten the lives of people everywhere; whether by stealing priceless and invaluable items and destructive weapons, or by wreaking havoc on humans everywhere. Throughout Yusuke’s journey, he is usually joined by; his arch-rival, and local bully, Kuwabara Kazuma. He is also joined by two demons named Hiei and Kurama, whom are ex-convicts of the afterlife that managed to escape from Koenma. This group of unlikely allies goes on to participate and struggle in battles that have outcomes that determine the fate of humanity! 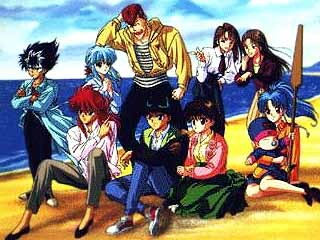 Yu Yu Hakusho is created by popular mangaka Yoshihiro Togashi, who is also responsible for creating the acclaimed and much-loved series known as Hunter X Hunter. Yu Yu Hakusho also managed to surpass Dragon Ball Z in ratings during its TV run. Synopsis: This world consists of two dimensions joined as one, like a mirror. The first is the world in which the humans live, Assiah. The other is the world of demons, Gehenna. Ordinarily, travel between the two, and indeed any kind of contact between the two, is impossible. However the demons can pass over into this world by possessing anything that exist within it. Satan the god of demons, but there’s one thing that he doesn’t have, and that’s a substance in the human world that is powerful enough to contain him!! For that purpose he created Rin, his son from a human woman, but will his son agree to his plans? Or will he become something else…? An exorcist? 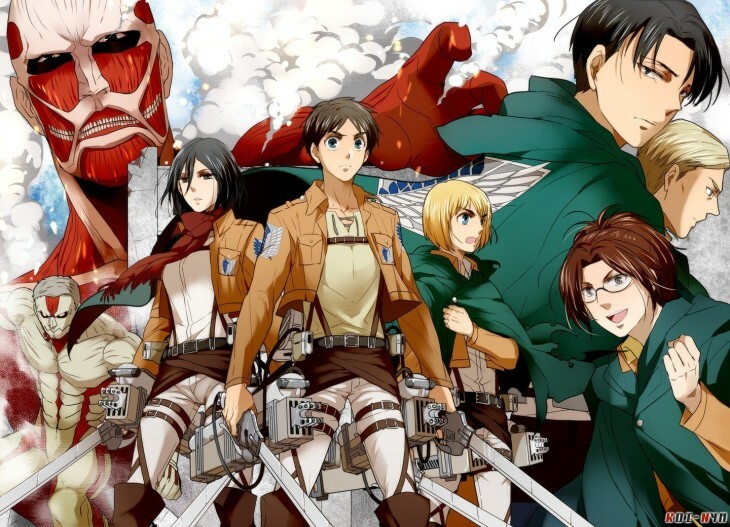 Synopsis: Several hundred years ago, humans were nearly exterminated by titans. Titans are typically several stories tall, seem to have no intelligence, devour human beings and, worst of all, seem to do it for the pleasure rather than as a food source. A small percentage of humanity survived by walling themselves in a city protected by extremely high walls, even taller than the biggest of titans. Flash forward to the present and the city has not seen a titan in over 100 years. Teenage boy Eren and his foster sister Mikasa witness something horrific as the city walls are destroyed by a colossal titan that appears out of thin air. As the smaller titans flood the city, the two of them watch in horror as their mother is eaten alive. Eren vows that he will murder every single titan and take revenge for all of mankind. Synopsis: Naruto Uzumaki, a hyperactive and knuckle-headed ninja, lives in Konohagakure, the Hidden Leaf village. Moments prior to his birth, a huge demon known as the Kyuubi, the Nine-tailed Fox, attacked Konohagakure and wreaked havoc. In order to put an end to the Kyuubi’s rampage, the leader of the village, the 4th Hokage, sacrificed his life and sealed the monstrous beast inside the newborn Naruto. Synopsis: Himura Kenshin is a vagabond with a dark past and sunny disposition. Not a ronin but a rurouni, he was never a samurai, but an assassin of utmost skill in the Meiji restoration, who in the turning point of the war simply walked away. His travels lead him to Tokyo in the 11th year of the Meiji era, where he befriends a female Kendo master, a former thief, a brawler and a doctor all with their own secrets. 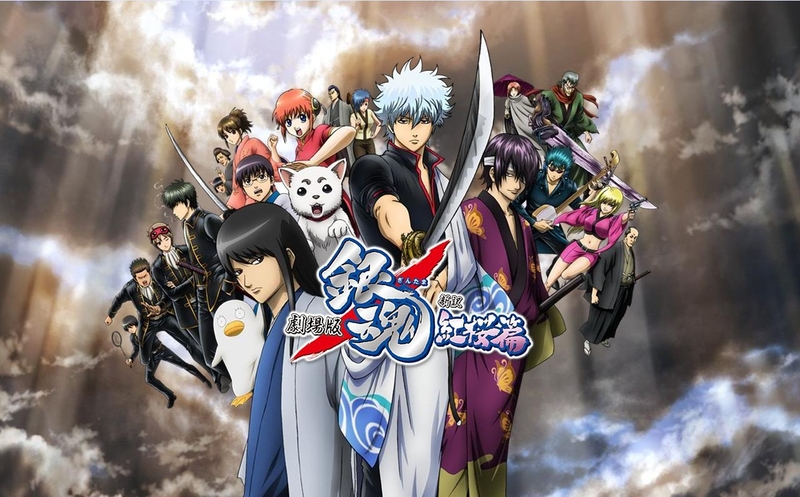 Together they fight off the enemies surfacing from the dark past that Kenshin cannot escape. Synopsis: 15-year-old Kurosaki Ichigo is not your everyday high school student. He has from as far he can remember always had the ability to see ghosts and spirits. A fateful day arrives as Ichigo encounters the shinigami Kuchiki Rukia, who saves him and his family from a Hollow at the cost of injuring herself. During this encounter, with Rukia unable to defeat the hollow she transfers her shinigami powers into Ichigo. In the aftermath, unable to continue with her job, Rukia allows Ichigo to take on the role of a shinigami in her place as they together defeat the Hollows plaguing Ichigo’s town. 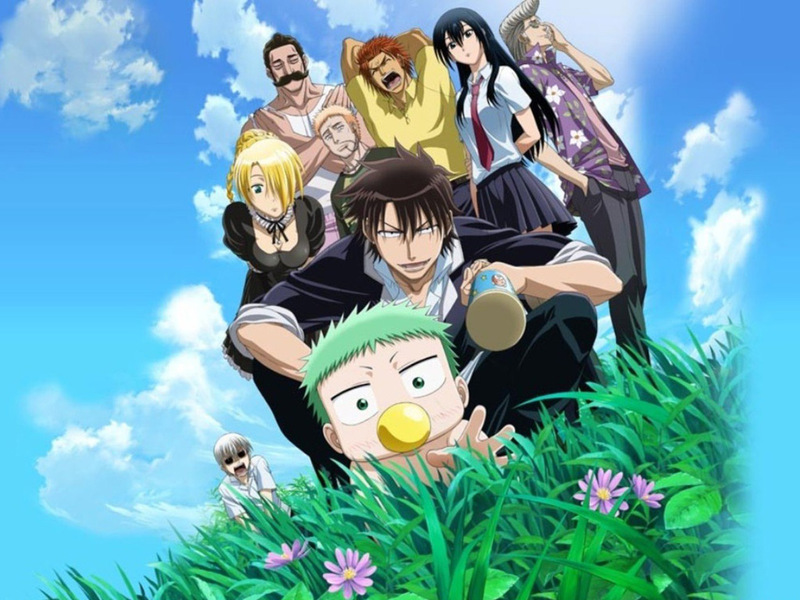 Synopsis: The story follows the “strongest juvenile delinquent,” Tatsumi Oga, a first year at Ishiyama High, the school for delinquents. One day while sleeping next to a river, he sees a man floating down it. Tatsumi pulls him to shore, and the man splits in half revealing a baby boy. This boy is the son of the demon king, and Tatsumi has been chosen as the one to raise it with the baby’s demon maid, Hilda. The story follows his life with the child at the delinquent school. 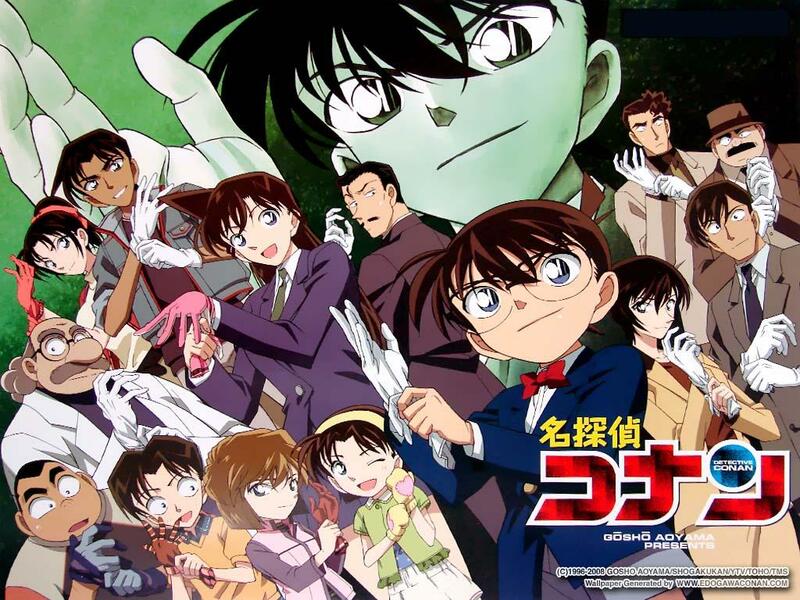 Synopsis: Kudo Shinichi is a seventeen year-old high school detective whom people call the “Modern Sherlock Holmes.” However, one night after a date with his childhood sweetheart, Ran, Shinichi witnessed an illegal trade and, caught off his guard, was knocked unconscious and fed a drug that was supposed to kill him… but he woke up and found himself shrunken to a seven year-old. In order to track down the men who did this to him, Shinichi hid his identity and lived with Ran, whose father happened to be a hopeless detective, and with that came a series of murders and mysteries that he must solve. Synopsis: Kaito Kuroba, a normal teenage student whose father is often absent for vaguely defined reasons. When his father dies under mysterious circumstances, he is made aware of his father’s secret identity; a famous international criminal known as International Criminal 1412: the Phantom Thief, and that he was murdered by a mysterious organization for refusing to aid them in retrieving the “Pandora Gem”; a mystical stone said to shed a “tear” during the passing of a particular comet, the consumption of which bestows immortality. He vows to prevent the organization from gaining immortality, and assumes his father’s identity as he begins his quest for the gem. His only clues as to the gem’s location are that it glows red under the full moon and that it is a doublet: a gem hidden within a larger gem. Thus, it would have to be a relatively large one with a bizarre history, and always stored in a place that never receives moonlight. He thus researches and steals famous priceless gems with odd histories from incredibly well-defended areas, and always returns them after the very next full moon. Synopsis: A Hunter is one who travels the world doing all sorts of dangerous tasks. From capturing criminals to searching deep within uncharted lands for any lost treasures. Gon is a young boy whose father disappeared long ago, being a Hunter. He believes if he could also follow his father’s path, he could one day reunite with him. Synopsis: Haru Glory is a boy who lives with his sister, Cattleya, in Garage Island. After fishing out a…. thing called Plue, he meets Shiba who entrusted him with Rave Stone or more known as Holy Bring. From there on, he embarks on a quest leaving his sister at Garage Island like his father who went to find Rave 15 years ago. He meets Elie, a girl who loves to gamble but has lost her memory. They met up with Musica at Punk Street. 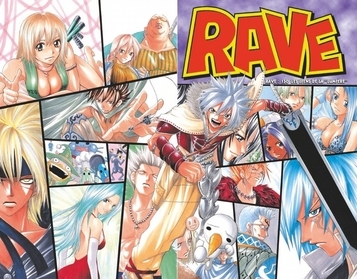 They have to eliminate Demon Card using Rave and is helped by Elie’s uncontrollable Ethelion and Musica’s ability of controlling silver as a Silver-Claimer. Unfortunately, they had to collect 4 more Raves in order to eliminate the mother of all dark brings, Sinclair. Together, they find out their past including Haru and Musica who both do not know their parents very well. They also find out the connection between Ethelion and Rave. Synopsis: The Saiyans are coming! The last survivors of a cruel, warrior race, these ruthless villains have carved a path of destruction across the galaxy, and now they have set their sights on Earth! They will stop at nothing until they have the wish-granting powers of the seven magic Dragon Balls for their very own. Gokuu along with old and new allies defends the earth against an assortment of villains ranging from intergalactic space fighters and conquerors, unnaturally powerful androids and near indestructible magical creatures. While the original Dragon Ball anime followed Gokuu through childhood into adulthood, Dragon Ball Z is a continuation of his adulthood life, but at the same time parallels the maturation of his son, Gohan, as well as other characters from Dragon Ball and more. 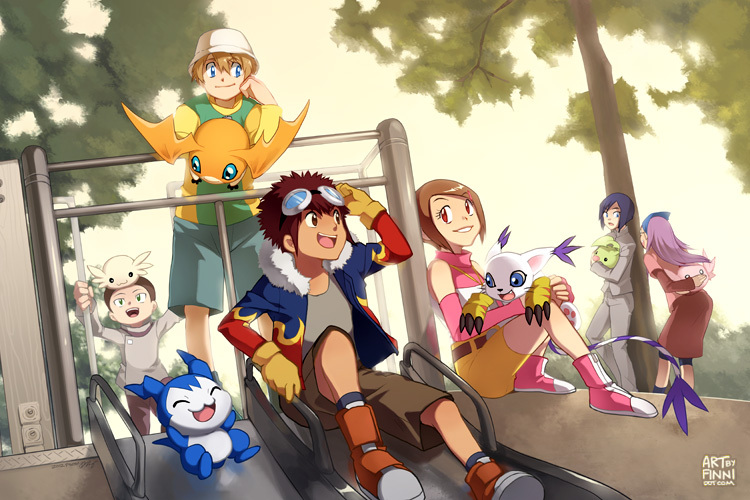 Synopsis: Seven kids are transported to the Digital World, a strange place where digital creatures called “Digimon” reside. A group of Digimon soon befriend them and keep the kids out of harm’s way. The children then discover they are the Chosen Children, which protect the Digital World from evil Digimon like Devimon and Vamdemon. Synopsis: Nobita Nobi is so hapless that his 22nd century decendants are still impoverished as a result of his 20th century bumbling. In a bid to raise their social status, their servant, a robotic cat named Doraemon, decides to travel back in time and guide Nobita on the proper path to fortune. Unfortunately Doraemon, a dysfunctional robot that the familly acquired by accident (but chose to keep nonetheless), isn’t much better off than Nobita. The robot leads Nobita on many adventures, and while Nobita’s life certainly is more exciting with the robot cat from the future, it is questionable if it is in fact better in the way that Doraemon planned. Synopsis: Welcome To the Gridiron of the Damned! Huge hulking bodies throw themselves at each other, while a tiny lithe body runs between them for the goal! No, it’s not a game of football, it’s Sena Kobayakawa trying to evade the monstrous Ha-Ha brothers down the halls of Deimon High School! But wait! Sena’s incredible skills at not getting caught have been spotted by the devilish (possibly actually demonic) captain of the school’s embryonic American style football team, and when Sena asks to be the teams manager, he gets thrust onto the field as a running back instead! But there are two BIG catches: first, to keep the identity of their new “star” player an absolute secret, Yoichi makes Sena wear an opaque visor on his helmet and gives him the alias of “Eyeshield 21.” And the second catch? Well, in order to hit his fastest “speed of light” running mode, Sena usually has to be absolutely terrified. Not that THAT will be a problem with the monstrous players that he’ll soon find himself running from! 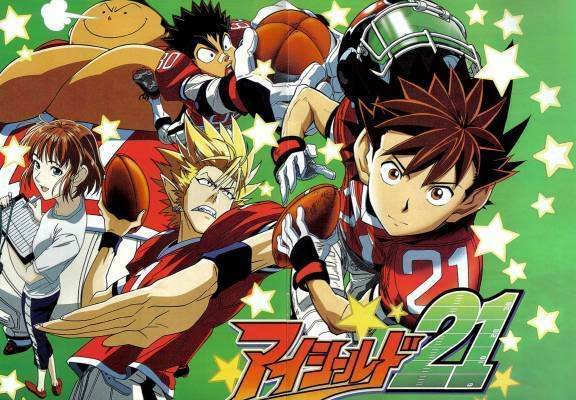 The insanity hits the streets when the feet meet the cleats in EYESHIELD 21! 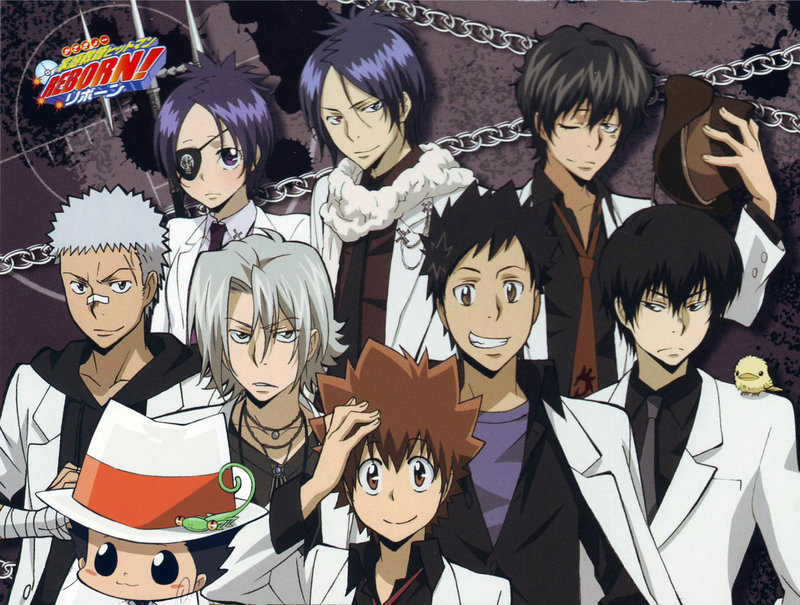 Synopsis: The mafia underworld is ruled by the strongest people in the business, the Italian Vongola family. Vongola’s current head, the ninth head, is an old man ready for retirement. But before he can step down, he needs help from a professional hitman to prepare the next next head of the family for the world that awaits him. Sawada Tsunayoshi is an ordinary teenage boy who attends Junior High, who is unpopular, has no friends and is desperately in love with a girl from his class. But Tsunayoshi’s life takes an extraordinary turn when he meets Reborn, an infamous hitman, who has been sent by the Vongola boss to prepare Tsunayoshi for his future as a mafia boss! 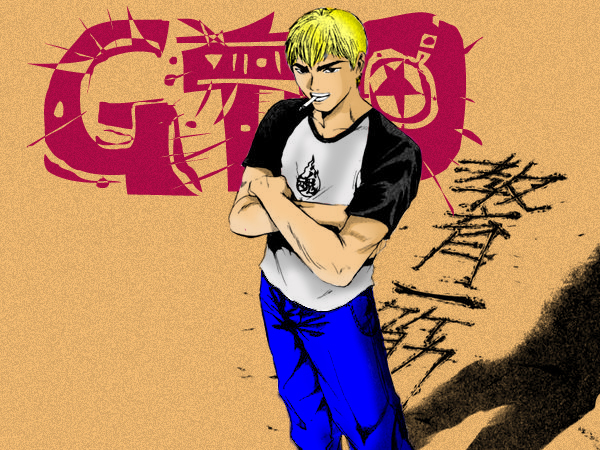 Synopsis: Mido Ban and Amano Ginji are known as the Get Backers, retrievers with a success rate of 100%. Whatever is lost or stolen, they can definitely get it back. Despite their powerful abilities and enthusiastic behavior, Ban and Ginji are terminally broke no matter what they do simply because few people would actually desire to hire them. As a result, the pair of them tend to do dangerous jobs, often leading to unwanted re-encounters with their old (and dangerous) friends. Synopsis: Higurashi Kagome, after being pulled down a well by a demon, finds herself in Feudal Japan, where she learns that a powerful jewel has been reborn inside her body. After the jewel shatters in an attempt to retrieve it from one of the many demons who was after its power, Kagome must join forces with the half-demon Inu Yasha (also after the jewel’s power) to track down the shards of the jewel before its power falls into the wrong hands. Synopsis: Sumimura Yoshimori is a Kekkaishi—an inheritor of the power to battle demons, using barriers called kekkai. 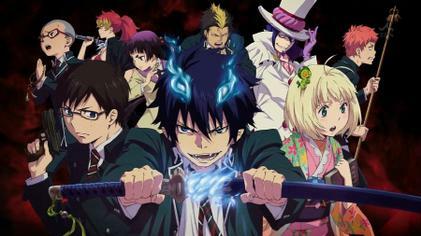 His family is charged with protecting the grounds of Karasumori high school, a building which magnifies the power of demons who enter it. Helping him are his spirit-wolf companion Madarao, and next door-neighbor Yukimura Tokine, the daughter of a rival clan. Years ago, Tokine was injured protecting Yoshimori, and now he is determined to become strong enough to keep her from being hurt again. Of course, he’d rather bake his exquisite cakes than have to fight demons at all, but fate has something else in store! As a shadowy demon organization moves to steal Karasumori’s power, can Yoshimori overcome legions of demons, a centuries-old family rivalry, and a grandfather who just can’t understand his love for baking? Synopsis: Keroro is a frog-like alien sent from his home planet on a mission to conquer Earth. 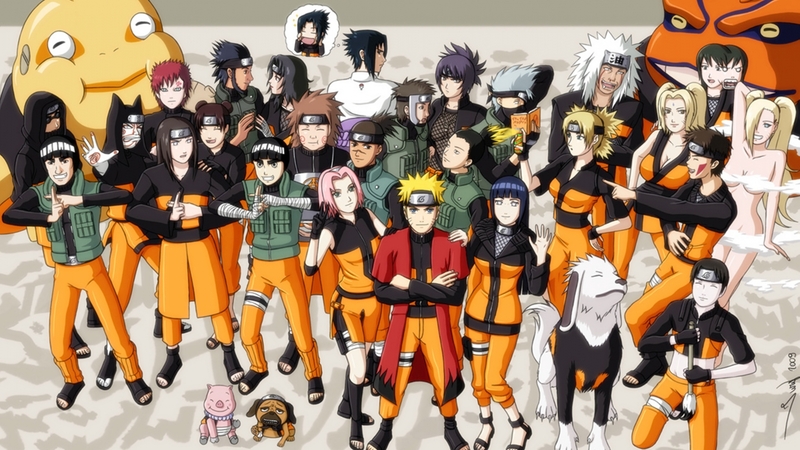 But when his cover is blown, his battalion abandons him and he ends up in the home of the Hinata family. There, he’s forced to do household chores and sleep in a dark basement that was once supposedly a prison cell haunted by the ghost of an innocent girl. He even spends his free time assembling Gundam model kits. During his stay, Keroro meets up with subordinates who were also stranded during their failed invasion. 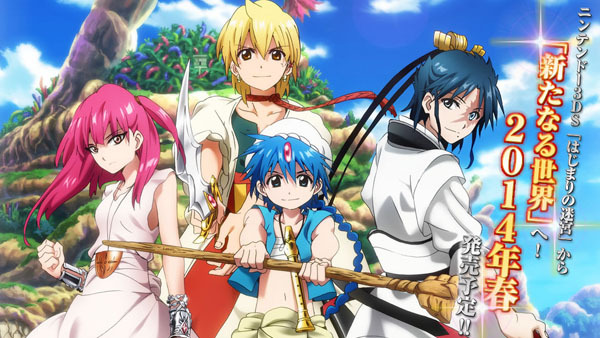 Synopsis: Asakura Yoh is a shaman, one who can see and communicate with spirits. Yoh is training to become the Shaman King, strongest among all the Shamans. The ones helping him are Manta, a short boy who can see ghosts and Amidamaru, who is an old samurai spirit and Yoh’s partner. 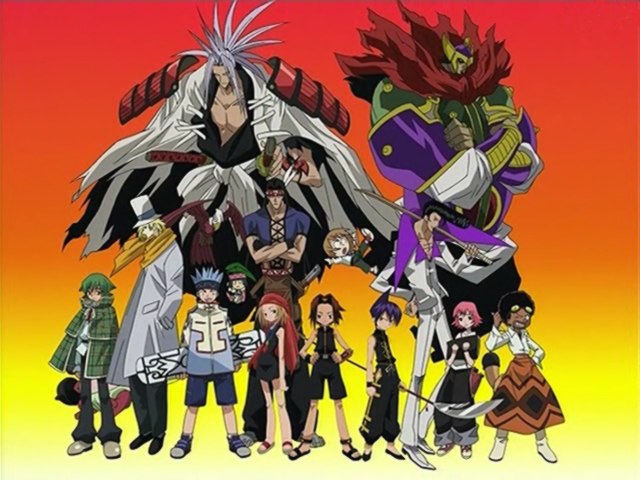 However there are also others who are trying to get the title Shaman King. Synopsis: Honda Shigeharu is a Major League batter on the rise. His son Goro is a Little League pitcher who one day hopes to follow in his father’s footsteps. Hoshino Momoko is Goro’s schoolteacher, and the first woman Shigeharu has been interested in since the death of Goro’s mother. The destines of these three individuals will become intertwined as father and son experience both heartbreak and triumph on the baseball diamond. But when an unspeakable tragedy visits the family, it will take everything they have to pick up the pieces and reclaim their dreams. Synopsis: High school delinquent Seiji Sawamura is desperate to have a girlfriend, especially after being rejected by 20 girls as of late. He’s afraid that he will end his life with his right hand as his only companion. Apparently, that doesn’t change when one day when he wakes up and discovers that his right hand has become a girl named Midori Kasugano, who confesses that she has had a crush on him for the last three years. Synopsis: The story takes place in 19th century China during the Qing Dynasty, where the Emperor was weakened and the country was close to chaos. It is also during a fictitious era called “The Era of the Cooking Wars”. It was an era in which top chefs with different cooking styles tried their best to improve their skills and to become the best chef in China. It is a country where insulting a high-grade chef or fooling around with cooking could land a person in a jail, and impersonating a top-chef is as good as usurpation of authority. Chefs compete with each other in order to gain respect and even power, but also with the risks of losing everything. The country of China has four major regions: Beijing, Szechuan, Shanghai, and Guangdong. The beginning of the story takes place in Szechuan, Mao’s birthplace. After the death of Mao’s mother, Pai, who was called the ‘Fairy of Cuisine’, Mao becomes a Super Chef in order to take the title as Master Chef of his mother’s restaurant. 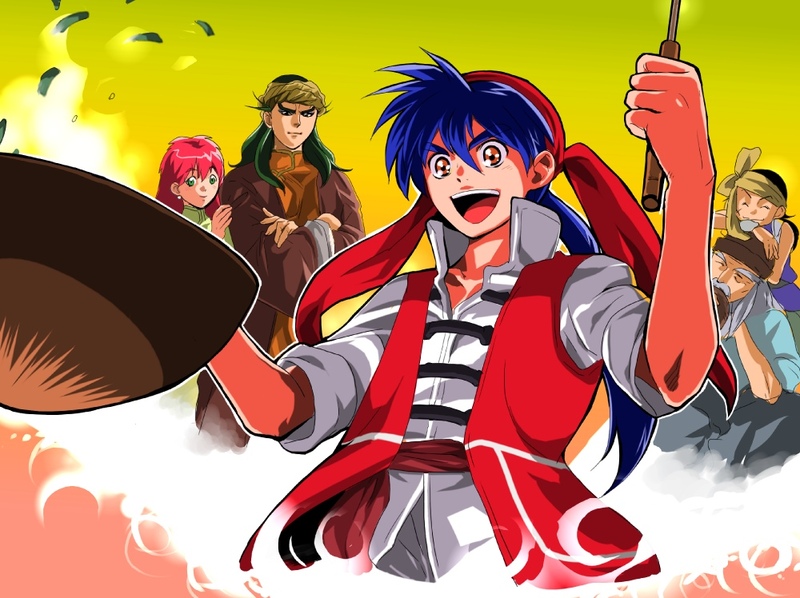 However, before he takes his mother’s place as Master Chef, he continues to travel China in order to learn more of the many ways of cooking, in the hopes of becoming a legendary chef, just like his mother. During his journey, he meets great friends and fierce rivals who wish to challenge him in the field of cooking. 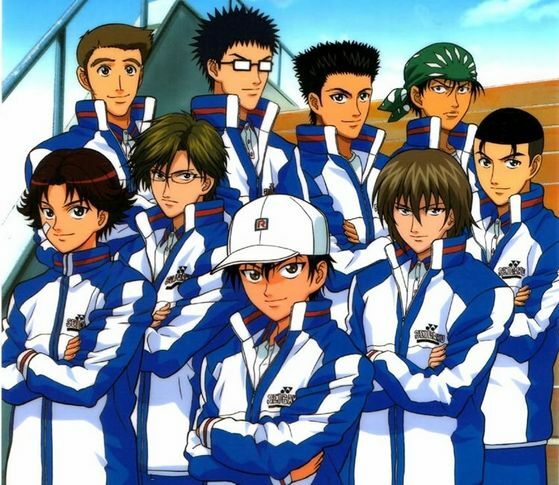 Synopsis: Echizen Ryoma is a young tennis prodigy who has won 4 consecutive tennis championships but who constantly lies in the shadow of his father, a former pro tennis player. He joins the Seishun Gakuen junior highschool, one of the best tennis schools in Japan, and there along with his teamates he learns to find his own type of tennis in an attempt to defeat his biggest obstacle of all: his father as well as himself. Synopsis: Kyuu is your average boy with a knack for logic and reasoning. Desiring to become a detective, he finds out about the existence of the Dan Detective School (DDS); a famed school where students are allowed to bear arms. Together with Megu, a girl with photographic memory, the martial arts master Kinta, the genius programmer Kazuma and the mysterious Ryuu, Kyuu tackles many well planned out crimes, always seeking the truth. Synopsis: Yakitate means “fresh baked”, but the word “Japan” is actually a pun – pan means bread in Japanese, so Kazuma is out to make Japan, a unique Japanese bread to compete with the best bread from around the world! Azuma became obsessed with bread when he was six years old. His sister yelled that their family should start having bread for breakfast sometimes, but their grandfather refused to even consider it, as he would only eat natto, miso soup, and rice for breakfast. Kazuma agreed, saying he didn`t like bread, but his sister kidnaps him and takes him to a bread store to show him the wonders of fresh-baked bread. Not only is Kazuma converted, but the owner discovers that Kazuma has the magical “Hands of the Sun” whose warmth makes them particularly suited to making bread. The owner packs up shop and goes to Tokyo to fulfill his dream of making Japan, but Kazuma continues his bread-baking dream as well, and ends up going to Tokyo himself when he`s sixteen, to compete for a spot at the foremost bread store in Japan – Pantasia! Synopsis: Otaku Sakamichi Onoda has just entered high school and plans to join the anime club. In middle school, Onoda didn’t have any friends with whom he could talk about anime, games, Akihabara and other otaku things, and he is hoping he can make such friends in the anime club, but he finds out it’s been disbanded. In order to reestablish the club he tries to find 4 other people who would like to join. I repeat, I will only recommend shounen anime that I’ve watched and enjoyed so that if someone will ask me why I recommend it, I will be able to explain to them all my feels. And yes, as you can see, One Piece and Fairy Tale, were not included. Unfortunately, yes, I watched them and re-watch them thinking that I’ll be able to enjoy them, but… You know. The rest is history. If you have any recommendations, please let me know on the comment section! Toodles!